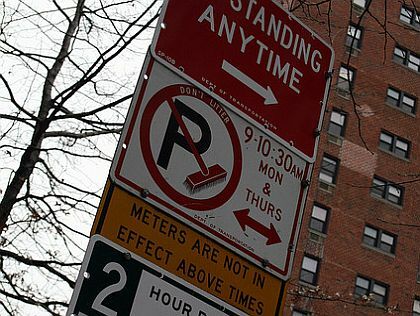 New York City - Because of a Catholic holiday, alternate-side street-cleaning regulations will be suspended in New York City on Thursday June 2 2011. Other regulations will remain in effect. Parking meters will be in effect. There ARE alternate side calendars!